The papers of Major General Orlando Bolivar Willcox, one of the most prominent division commanders in the Union army, were recently discovered locked in a trunk in a Washington, D.C., attic, virtually untouched since his death nearly a century ago. Editor Robert Garth Scott has sifted through what is arguably the largest collection of Civil War-related material to surface in fifty years. 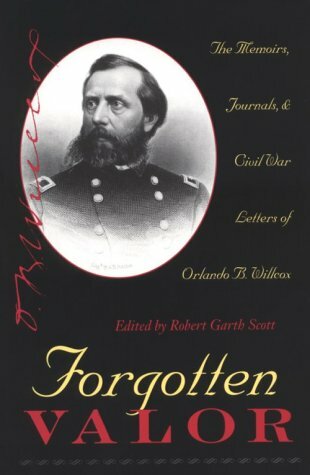 From his childhood in Detroit through his cadetship at West Point, his service in the Mexican, Seminole, and Civil Wars, and his post-Civil War experiences in the West, Willcox’s story is published here for the first time. Robert Garth Scott lives in Grand Blanc, Michigan. His past publications include Fallen Leaves: The Civil War Letters of Maj. Henry Livermore Abbott (The Kent State University Press, 1991).